“Lessons for Life”. This is IDENTICAL to what Public schools would say! CARDUS survey shows that catholic grads participate in elections and volunteer at almost same rate as public school grads. NO difference! DON’T let this OECTA propaganda go unchallenged!! The FACTS are against them! Please share on social media and counter act their campaign in mid April. Studies like the CARDUS study are show below. 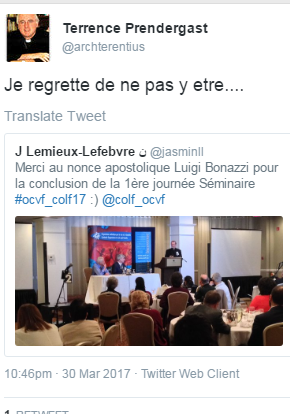 OECTA’s horrible anti-Catholic behaviour cannot be tolerated! OECTA will have you believe that catholic school make better citizens and are more involved in “social justice” than Public schools. This is plain wrong. The major Cardus survey disproved this!!! Is this the first time she did something?? Did any other teacher over the last 40yrs notice something but refuse to report it?? Remember: Ypur children can be exempted from ALL high school religion classes simply by changing your tax roll to be a Public School supporter. Do it! Better still, homeschool your children or find an orthodox Catholic school! Need to talk more about the 62 genders and 15 sexualities and White male privilege apparently. 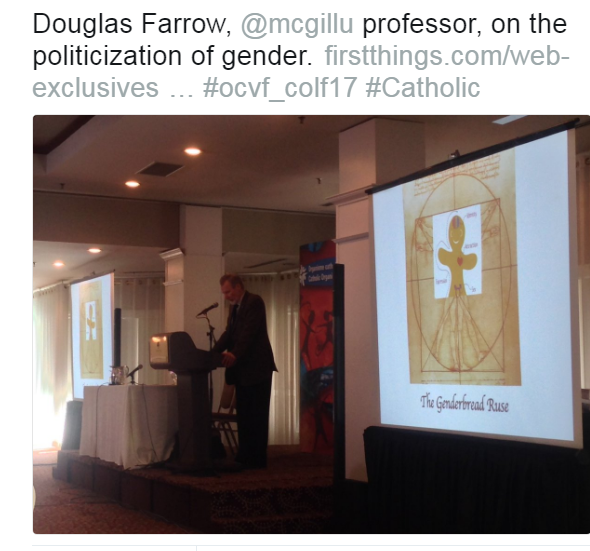 Doug Farrow called Genderbread person a RUSE. It is!! Why is the TRUTH being hidden from our children?? And why is this acceptable to the Bishops of Ontario?? The only way a board can refuse exemption from these courses is if the parents are on the tax rolls of the English Separate school system. Both Catholic and non-Catholic high school students who have parents on the Public School property tax roll can be exempted by parental request. Lazzarato, who had previously identified herself as bisexual, came out as lesbian in a YouTube video on September 14, 2016. Lazzarato is a practicing Roman Catholic and describes herself as religious. Lazzarato is in a relationship with Natalia Williams, an heiress and member of the Getty family. Was it tough being at a Catholic high school? Coming out in a Catholic school had its difficulties, but I was making YouTube videos at the time so I think people found it more fascinating. Of course, there were those that were not supportive — there always are! But I surrounded myself with very positive people who only wanted the best for me. I loved high school as a whole. I consider myself really lucky.
. and he took it hook line and sinker.. purposeful naivete?? wilful ignorance?